Designed by Kirchoff & Rose and funded by vaudeville entrepreneur Martin Beck, the theatre officially opened on 24th March 1913 and became a prime destination for vaudeville acts. During the Great Depression, it became the RKO Palace and primarily hosted radio recordings and functioned as a cinema. 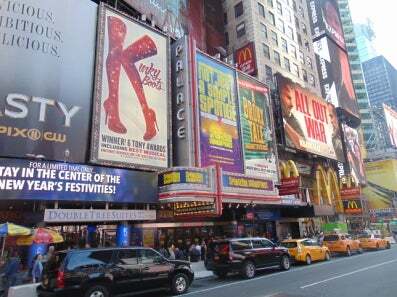 In 1965 the Nederlander Organization purchased the property from RKO and returned it to a traditional theatre, re-opening on 29th January 1966 with the original premiere of the musical Sweet Charity.